Alberta, the most westerly of Canada’s three Prairie Provinces, joined the Confederation of Canada and became a province on September 1, 1905; the same day that Saskatchewan joined the Confederation. Before then Alberta and Saskatchewan were considered part of the Northwest Territories. Alberta was named after Princess Louise Caroline Alberta, the fourth daughter of Queen Victoria. At the time, Queen Victoria was the sovereign head of state for the British Empire. Alberta was inhabited by First Nations’ indigenous peoples for 10,000 years before it was discovered by European explorers in the 1700’s. Europeans such as Peter Fidler, David Thomson and Alexander MacKenzie, were the first to establish European settlements and map the vast area. Alberta is the fourth largest province in area in Canada. The first European settlements in the province were Fort Chippewan and Fort Vermillion, established in 1788. 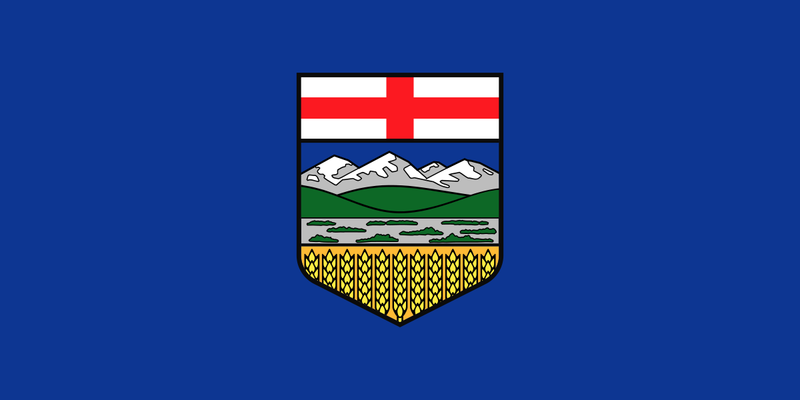 Alberta is also the fourth largest populous province in Canada with over 4.2 million people. While Calgary is the largest city in the province, Edmonton, the second largest city, is Alberta’s capital. The first premier of Alberta was Alexander C. Rutherford, who served from 1905-1910. Rachel Notley is the province’s current premier, elected in 2015. The province’s landscape is rich and diverse. There are Badlands near Drumheller in the east and Milk River in the south, and the prairie stretch north and west between them eventually giving way to the foothills that roll into the spire peaks of the Rocky Mountains. Alberta is part of the Prairie Provinces, along with Saskatchewan and Manitoba. It is known for its big open spaces and big skies, providing beautiful sunsets. The ranches and farms reflect the open spaces as many of them are sprawling, huge spreads used for raising cattle and growing grains. The land is rich and fertile, if irrigated, where fields of wheat, canola, barley and oats thrive. Wheat is the largest agricultural export from the province, followed by canola, live cattle and Durum wheat. The main destination for these exports is the United States, Canada’s largest trading partner. The main industry in Alberta is oil. Alberta’s oil is the third largest export commodity in the world, behind Venezuela and Saudi Arabia, and the province houses the third largest oil reserves in the world. Alberta is also the second largest exporter of natural gas in the world and is the world’s fourth largest producer of natural gas. Much of Alberta’s crude oil is found in the Tar Sands in northern Alberta, although the first major crude oil discovery was found in Turner Valley, south of Calgary, in 1936. Tourism is another major industry in Alberta as visitors spent over $8 billion in the province in 2016. Over 35 million tourists visit the province annually and it is easy to understand why so many people visit the province, with its pristine lakes and mountains which provide cross-country and downhill skiing and fishing, as well as hiking and mountain climbing. The Bow River is internationally renown for trout fishing. Other popular tourist destinations besides the Calgary Stampede and the other major cities include Banff, Jasper, Lake Louise and Waterton Park. If you are searching for less popular destinations check out Dry Island Buffalo Jump Provincial Park or Head-Smashed-In Buffalo Jump, a World Heritage Site. You may also want to visit Dinosaur Provincial Park near Brooks, or Drumheller and Milk River. It is like taking a trip back through time with their diverse landscapes that contain mushroom-shaped hoodoos, eroded by the wind and the weather over thousands of years. The Royal Tyrrell Museum near Drumheller has the largest collection of dinosaur bones and fossils in the world, and Drumheller has the tallest standing dinosaur in the world. It is worth a trip just to see it. Feist (singers/songwriter), to name a few.